Desi Smith /Gloucester Daily Times. 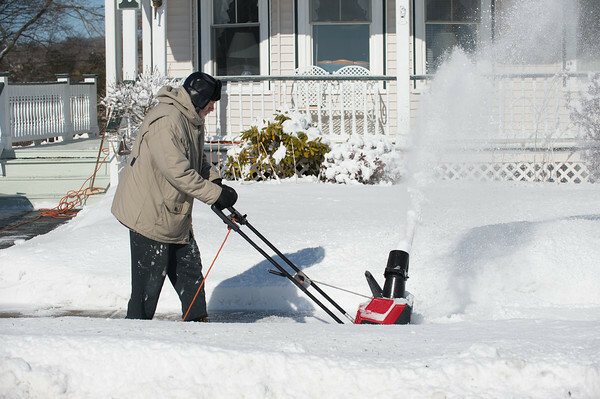 Roy Warrington of Gloucester uses his electric snow blower to clear the sidewalk in front of his home on Kent Circle Sunday morning. Saturday nights storm dropped about half the amount predicted. February 16,2014.